While many assumed The Librarian trilogy—TNT’s made-for-TV films from the early 2000s—told the complete story of the secret society of archeologists working underneath the Metropolitan Public Library, some fringe academics have long insisted there had to be more to the tale. Rumors of a revival have floated across the winds for time immortal (er, since February), and now the faith of diehard Librarian fans is finally being rewarded. Against all odds, TNT has decided to turn a 10-year-old trilogy into a new TV series, one that stars Rebecca Romijn. According to The Hollywood Reporter, TNT has order 10 episodes of the new scripted series, which will be titled The Librarians. Those who demand purity of authorial intent in their adventuring TV shows need not fret, as original creators and producers Dean Devlin, John Rogers, and Marc Roskin are all returning to the project. Bob Newhart and Jane Curtin will also reprise their roles. And most importantly, original star Noah Wyle is set to executive produce and occasionally return as the beloved, bumbling Flynn Carsen—when his Falling Skies schedule permits. The series will follow a team of librarians who protect a collection of artifacts hidden beneath New York and shield the world from a magical reality (kind of like Men In Black, but for antiquities). 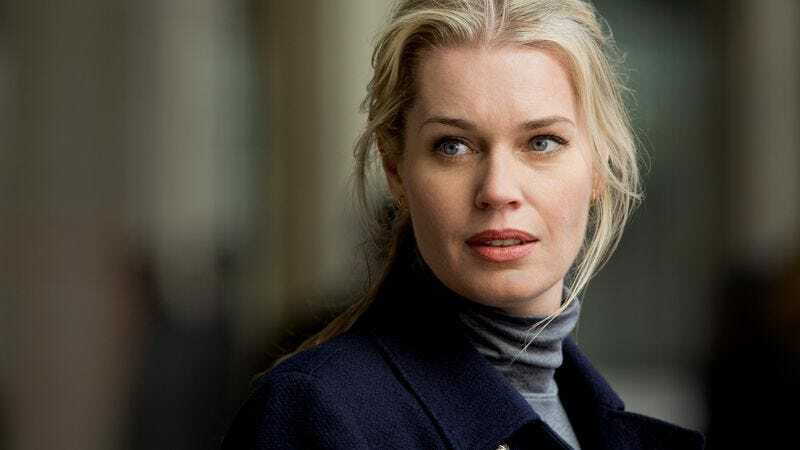 Romijn will star as the counterterrorism agent who protects the group, which includes Angel’s Christian Kane as a genius Oklahoma oil worker, Dawn Of The Dead’s Lindy Booth as a “quirky” woman with synesthesia, and Neighbors’ John Kim as a tech master. John Larroquette will oversea the team as a cantankerous expert in ancient lore, while Matt Frewer will play an immortal who heads up a cult called the Serpent Brotherhood. The series will air when the planets align and ancient forces call forth from the abyss. Or late 2014, which ever comes first.